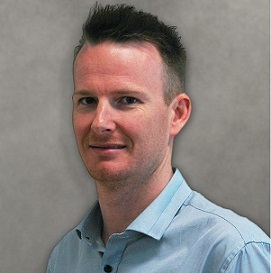 Stephen is the Managing Director of Cherrie Civil Engineering and holds a Bachelor of Engineering. Stephen has over 17 years of experience in all levels of Civil Engineering and Business Management. He began learning in the field and worked in roles such as Estimating Assistant, Engineer, Project Manager, Regional Manager and Director – Construction. He was made a Director of the Ward Group of companies in September 2010 for over 4 years. Stephen’s focus is on safety, delivery and relationships. He has worked in various roles on a wide range of different projects across the civil construction industry such as excavation, earthworks, airport, road works, remediation (Asbestos and Contamination), seawall, subdivisions and industrial site upgrades. To deliver these, Stephen has a very strong foundation in Project Management, Fiscal Control, Problems solving, Programming and Technical Knowledge. Stephen has a very strong belief in his core values. These are honesty, integrity, loyalty, delivery, hard work and relationships at all levels. His goals are to have projects that deliver for all the business partners of Cherrie Civil Engineering. These include Clients, Subcontractors, Suppliers and the Employees within the business.